FED-UP rail passengers turned on ScotRail yesterday after another day of travel chaos with many trains cancelled or jam-packed. Christmas shoppers were hit by a string of delays and cancellations during one of the busiest weekends of the year. 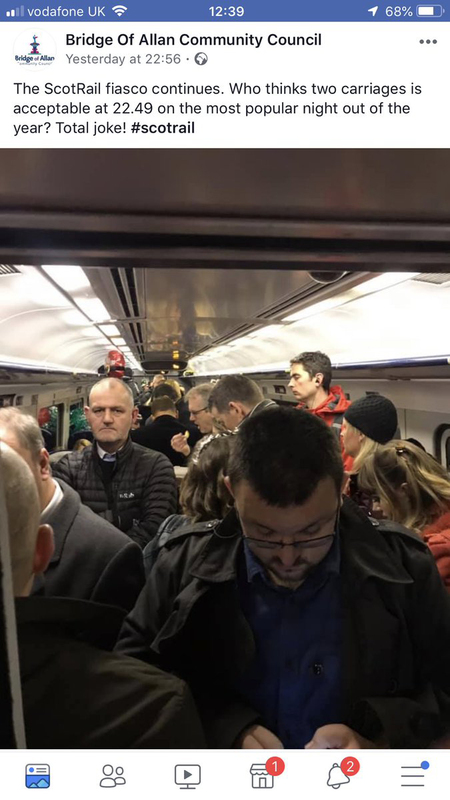 Many trains were badly overcrowded and social media was inundated with ScotRail customers complaining about the poor service. The beleaguered train operator apologised to passengers and blamed bad weather and staff shortages for the disruption after the introduction of a new winter timetable was blamed for problems over recent weeks. But Scottish Labour’s transport spokesman Colin Smyth accused the company of failing people with its “thoroughly miserable service”. He called on ScotRail to suspend the fare increase due to be imposed in January as a “gesture of goodwill”. He said: “What I have difficulty understanding is why they’re bringing in a new timetable that they’re clearly not prepared for, they haven’t got the staff properly trained and they haven’t got sufficient trains on the track and this is possibly one of their busiest weekends of the year. “This is the time when people need the trains most, yet we still have performance whereby one in five trains are running late and the trains that do turn up are often overcrowded. People are getting a thoroughly miserable service. “Given the utter mess they’ve made of the new timetable in terms of not being properly prepared and not having the trains delivered when they said they were going to be, the least they should be doing is not going ahead with the fare increase in January. “Commuters right across Scotland are going to be hit with a fare increase on top of the fact they’ve just announced the scrapping of the kids go free initiative. “I think as a gesture of goodwill they should not be going ahead with that fare increase in January given the fact their performance figures are still shockingly poor. “They’ve never hit their punctuality targets since this franchise began and frankly nobody believes they’re ever going to hit the target. “So they should not be imposing yet more fare increases on hard-pressed passengers. “Given the last few weeks of chaos we’ve seen with the new timetable, anyone booking the train home for Christmas will be doing so with trepidation wondering if that train is actually going to turn up, and even if it does turn up whether there’s any chance of getting a seat on that train. ScotRail acknowledged last month that it expected services to be “busier than usual” in the run-up to Christmas. It also announced that it was adding extra carriages on popular routes on Friday nights and at weekends during the “party season”. But yesterday there were complaints of widespread problems. A reduced service was being operated between Perth and Inverness. 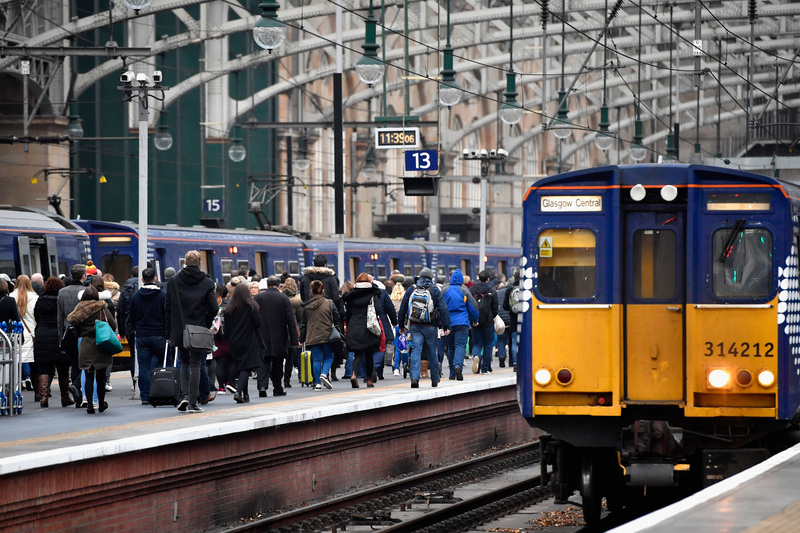 Trains to and from Glasgow, Edinburgh and Fife were hit with cancellations, and others were so busy passengers could not board.